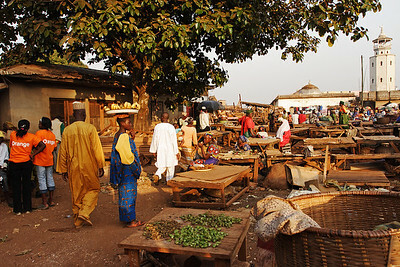 Market place, Foumban, West, Cameroon. 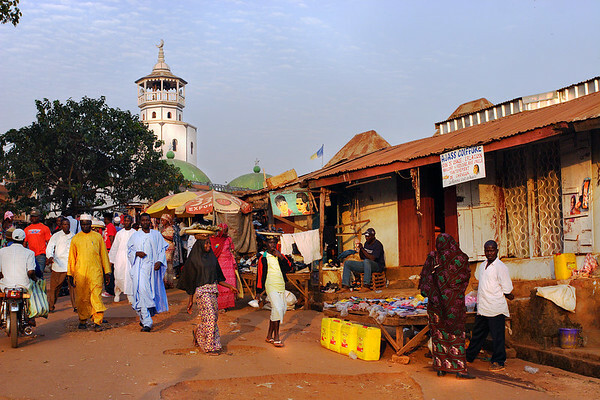 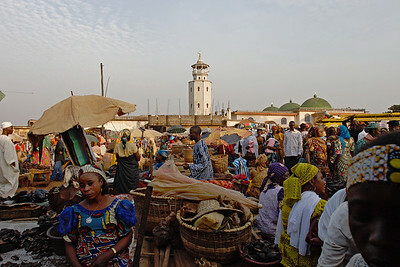 Exit of the market with the mosquee in the background, Foumban, Cameroon. 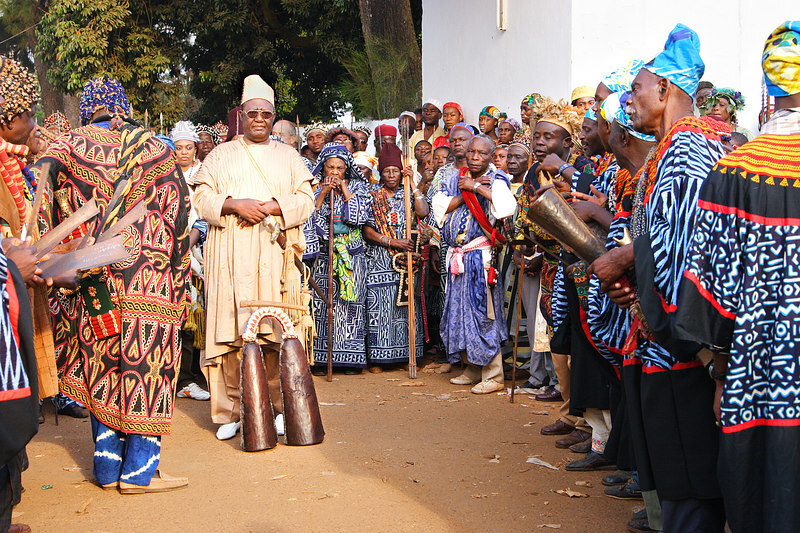 Warrior character during the Nguon festival, Foumban, Cameroon. 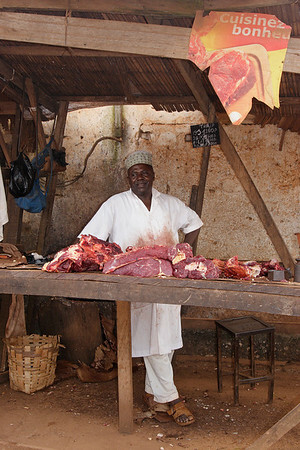 A butcher from Foumban, West, Cameroon. 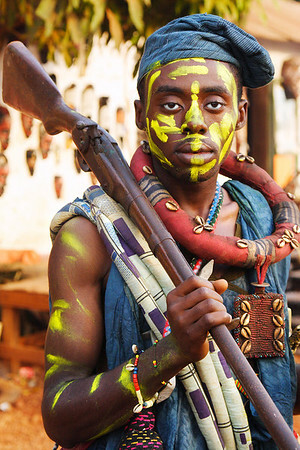 Soldier character during the Nguon festival, Foumban, Cameroon. 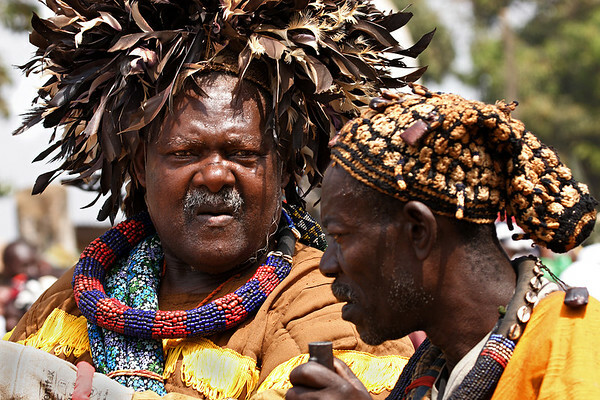 "Mbombo Djoya", Sultan of the Bamoun people since 1992 during the Nguon Festival, Foumban, Cameroon. 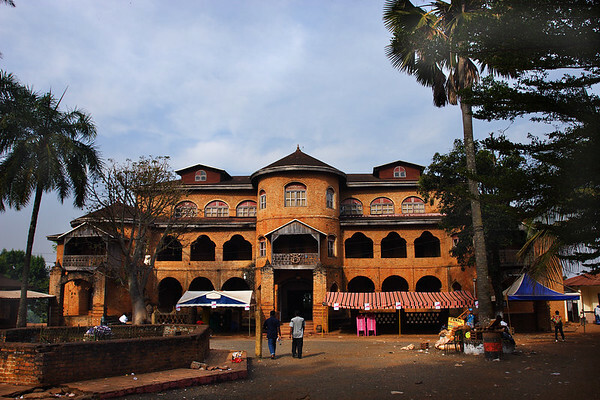 Palace of the Bamoun Sultan, Fumban, Cameroon. 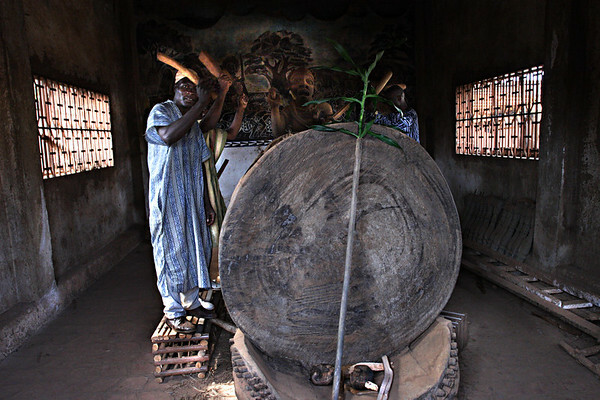 Traditional drums during the Nguon festival, Foumban, Cameroon. 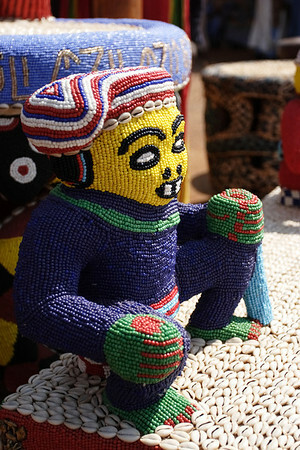 Detail from the Sultan chair, 2008 Nguon festival, Foumban, Cameroon. 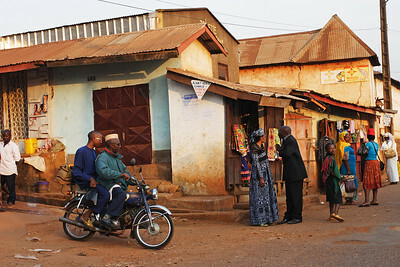 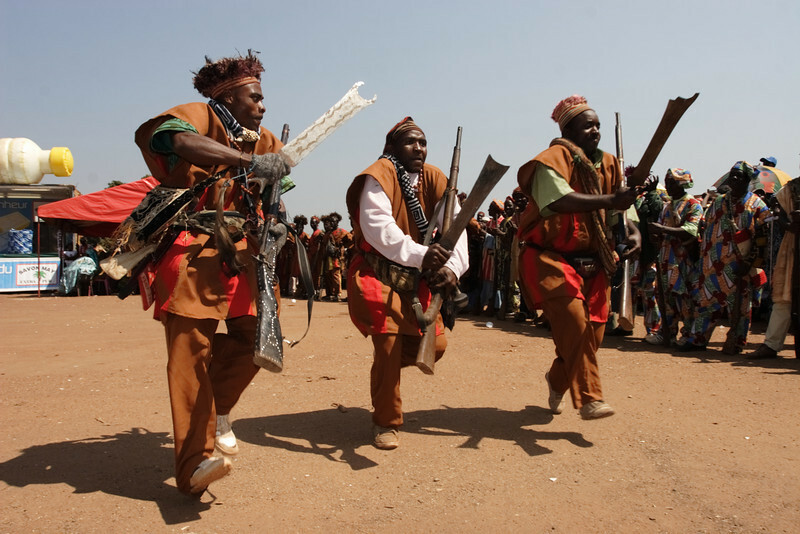 2008 Nguon festival, Foumban, Cameroon. 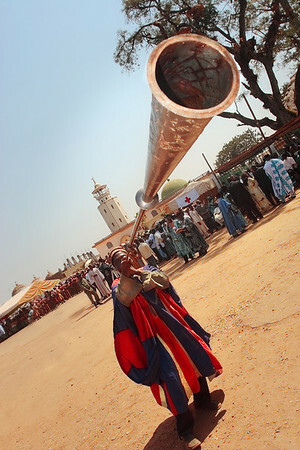 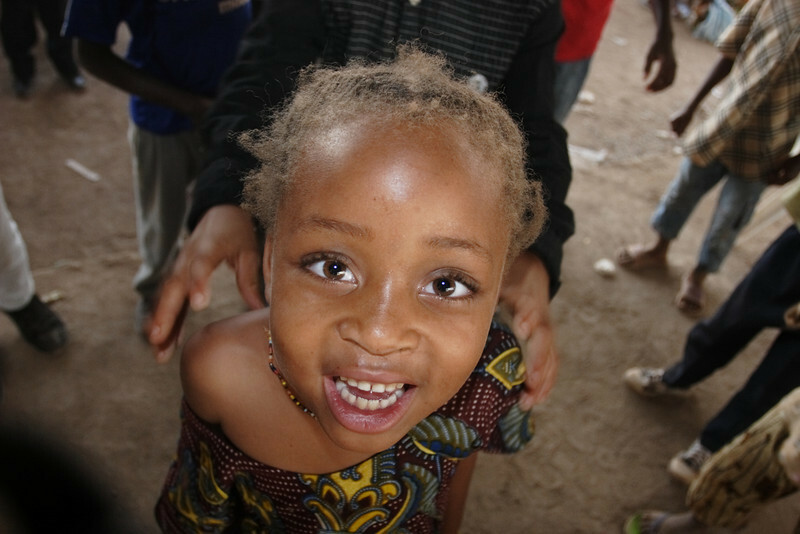 Kid during the 2008 Nguon festival, Foumban, Cameroon.